The Positive Coaching Alliance provides tips and tools that youth and high school sports coaches, parents, athletes leaders and officials can immediately bring to practices and games. Workshops are offered periodically by FHYAA and coaches and parents are encouraged to attend. PCA Workshop for new Coaches. Tuesday,January 22, 7-9 pm at Sandburg LDR (small auditorium). This is for new Spring Coaches and anyone else that thinks they may Coach and want to get it out of the way. PCA Workshop for returning Coaches. Wednesday,January 23 7-8:30 pm at Sandburg LDR (small auditorium). Fort Hunt Softball and FHYAA aligns our coaching philosophy with the Positive Coaching Alliance. With our girls growing so fast, chances are that the great pair of cleats or that nice glove you bought last season may not fit any more! Contact fhyaasoftball@gmail.com. would like to preview our free items before going to the store! We have gloves and cleats, and occasionally some sliding shorts and pants. Each year hundreds of families attend Fort Hunt Youth Athletic Association softball games in the Fairfax County region. FHYAA Softball is known for fun, sportsmanship and fair competition. Sponsorship offerings now include on-site banners, web advertising and player scholarships to accommodate unprecedented interest from area businesses and families. Pricing options are available for marketing budgets of any size. Please see the Sponsorship tab or click here for more information! 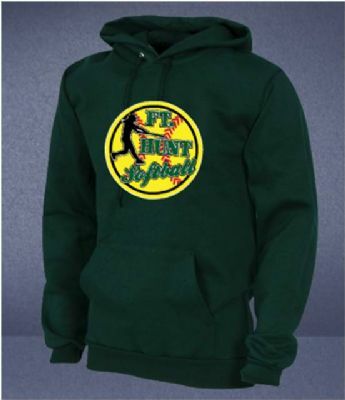 Show your softball spirit with some cool gear from MyLocker.net!